Courtesy of Viridian. This curry contains lots of anti-inflammatory ingredients, healthy seasonal vegetables and lots of taste. 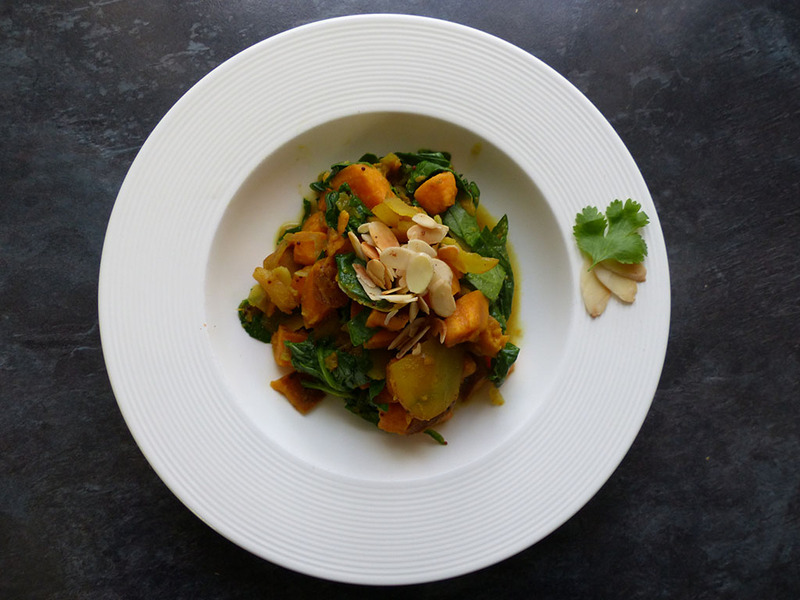 Spinach is available from end of April until end of October, so when you make this curry in these months it has a lower environmental impact. 1. Heat the oil in a large saucepan and cook the onion, garlic, ginger and chilli. 2. When the onion has softened, add all the spices and heat until they are becoming fragrant. 3. Add the sweet potato and stock and simmer for about 15-20 minutes until the sweet potato is soft. At this point add the spinach. flaked almonds and a drizzle of Viridian Joint Omega Oil. It is best served with brown rice to increase its nutritional profile further.